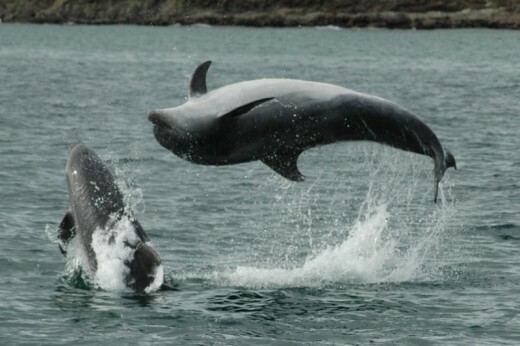 Observe marine wildlife and watch whales and dolphins in their natural environment at close range in Cork. 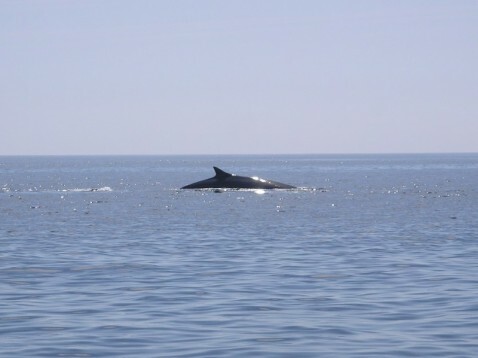 Experience these coltish and curious creatures to accompany our boat and see in contrast the amazing whales which surprise with their gentle behaviour. Enjoy a Golden Moment with our Whale and Dolphin Watching Weekend in Co. Cork and spend one night in our B&B and take a ferry tour to Cape Clear Island. The Whale and Dolphin Watching Weekend in Cork makes a unique gift idea for anyone who wants to experience something unforgettable. Watch whales and dolphins in Cork at close range and spend one night in our B&B accommodation including full breakfast and evening meal. Enjoy one weekend in Cork and learn more about the amazing mammals. On top of that take a ferry trip to Cape Clear Island and explore the scenic landscape. Whale and Dolphin Watching Weekend has no restrictions. All are welcomed to enjoy one weekend of watching marine wildlife. We cannot guarantee that you will be able to see Dolphins or Whales during your trip to sea. If you do not see any Whales or Dolphins, we will be unable to rebook you in. The Whale and Dolphin Watching Weekend is weather dependent. For your own safety, Whale and Dolphin Watching Tours may be cancelled due to extreme weather conditions. 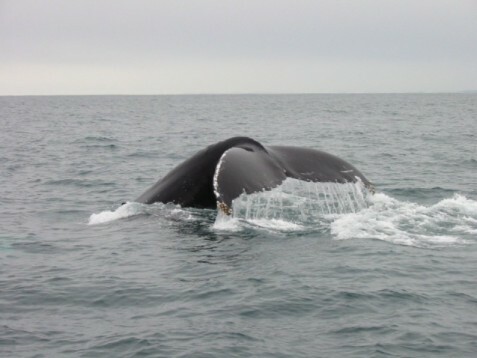 The Whale and Dolphin Watching Weekend is a two-day experience. You will spend one night in our B&B accommodation. The price mentioned above is for one person to partake in the Whale and Dolphin Watching Weekend. Spectators who want to enjoy the Whale and Dolphin Watching Weekend are kindly asked to purchase additional vouchers. Please wear very warm waterproof clothing as well as stout footwear for your Whale and Dolphin Watching Weekend. This Weekend Break is available on all weekends from April to November, subject to availability. 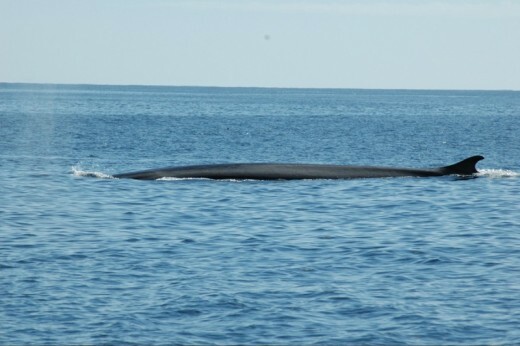 Minke Whales, Fin Whales, Humpback Whales, Common Dolphins and Harbour Porpoises may be seen at different times of the year. Common and Grey Seals may be seen year round and a variety of other marine wildlife - Gannets, Shags, Cormorants, Kittiwakes, Skuas, Shearwaters, Peregrine Falcons and various species of petrel are commonly sighted on our tours. In addition we see Turtles, Blue Sharks, Basking Sharks and the most unusual Sunfish. More rarely we see Risso's and Bottlenose Dolphins. 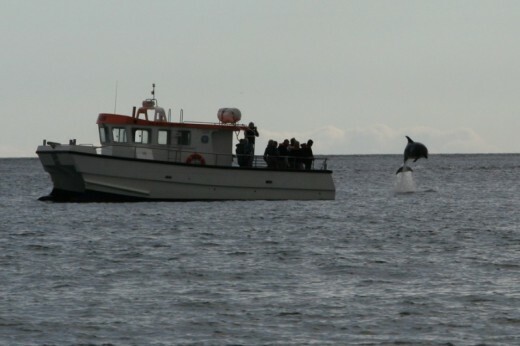 Do you need any help with this gift idea, Whale and Dolphin Watching Weekend?